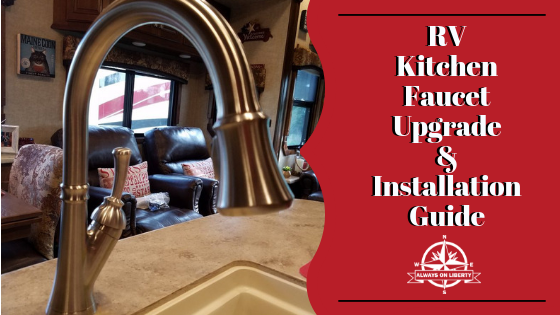 Everything we do with or to the inside of our RV; whether it is a simple upgrade or modification or interior design modification. 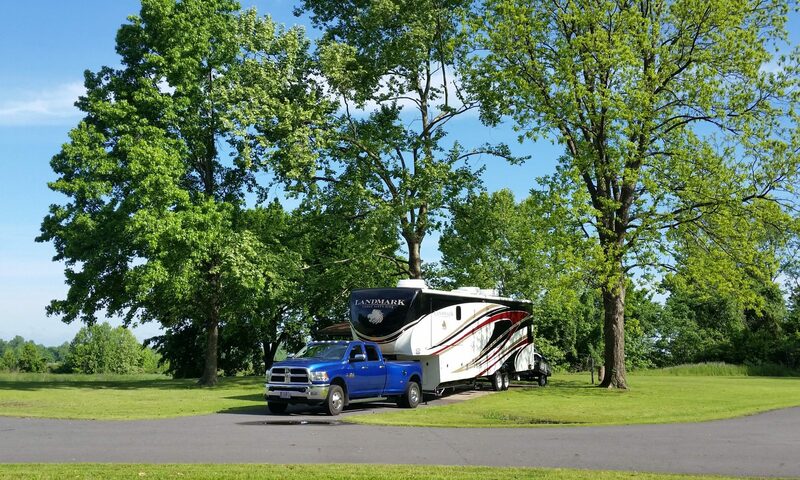 Our RV is our HOME and we treat it as so. 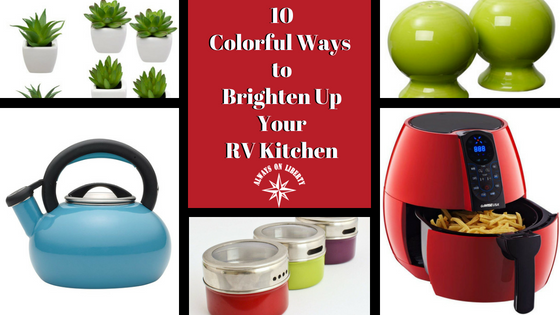 Kitchens in RVs, campers and boats are tiny. We all know that. But that doesn’t mean we have to compromise by limiting our kitchen necessities. It also doesn’t mean we should have to constantly worry about messes made going down the road. But, we as RV owners, also have other concerns when it comes to storage; weight. Since our fifth wheel has limited space and weight capabilities, we had to come up with creative ways to store our kitchen essentials. 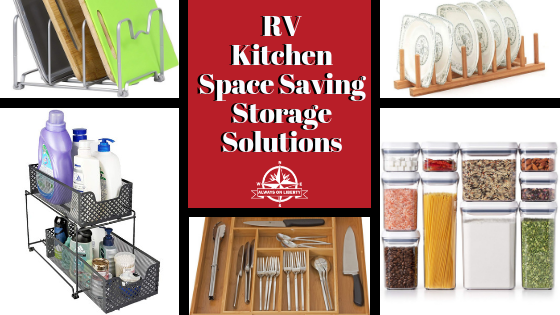 So, we’ve put together our list of space saving RV kitchen space saving storage solutions based on what we use in our RV galley. 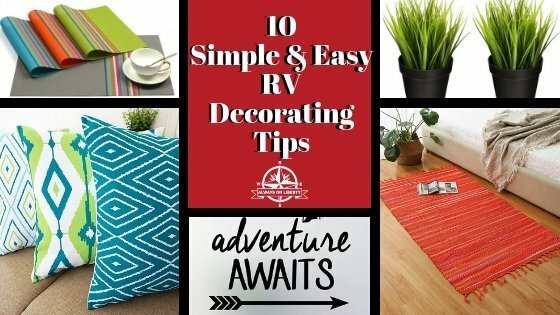 RV owners have taken RV interior decorating to a whole level making their motorhomes, travel trailers and fifth wheels more livable and appealing. They have stepped out of the dreary and drab to func tional and fab in interiordecorating. RV owners have applied the same customization they have or had in their sticks and bricks homes. I love a tidy home and prefer it to be organized. Even when I was a kid, my belongings always had their place. Its carried me all the way through my military and my adult life. I seem to have been gifted exceptional mad organizational skills. And now, I’ve channeled them into our RV. 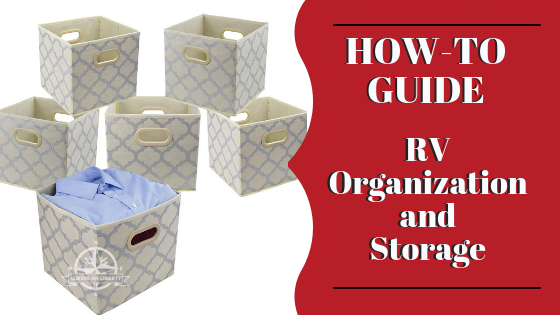 So, I asked myself, “why not share my How-To Guide to RV Organization and Storage”. You’ve no doubt, seen a trend lately in RV upgrades. Everything is WHITE; walls, cabinets, textiles, window shades, etc. And we get that, its certainly a personal choice. 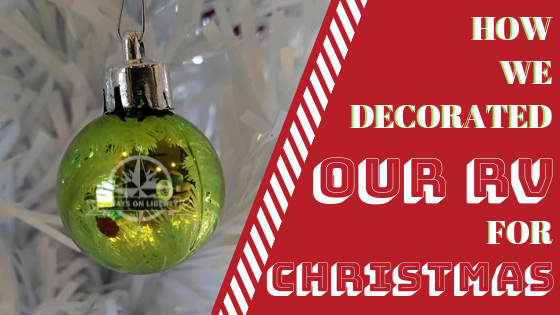 But, in all-things-decor, its a trend that will change; whether it takes weeks, months or even years. 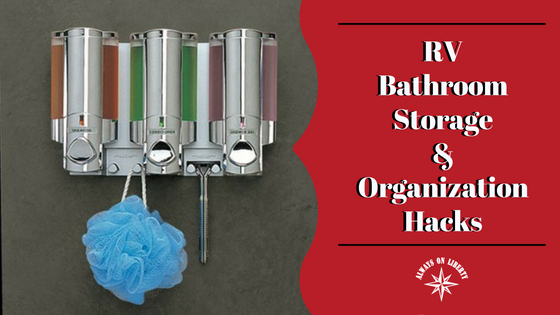 Having lived in our RV for several years, we still are on the lookout for bathroom storage ideas and organization hacks. Storage and organization is an integral part of comfortable RV living and transport. We can’t leave, what we call, ‘gear adrift’. Everything must be stowed safely and securely. 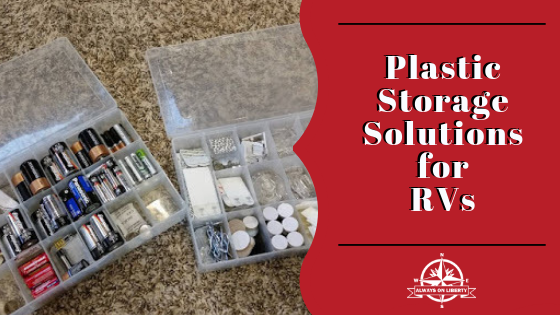 But, what’s even better is these storage hacks can be used in the kitchen or galley and other locations in your RV.